Nate, Melissa, and Don took a flightseeing tour. 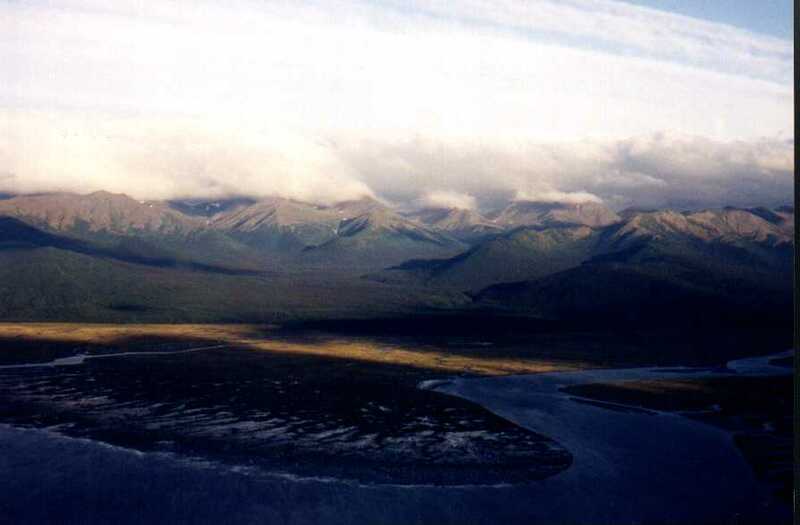 Unfortunately, all of the usual destinations were experiencing foul weather, so the pilot was forced to fly down over Seward. 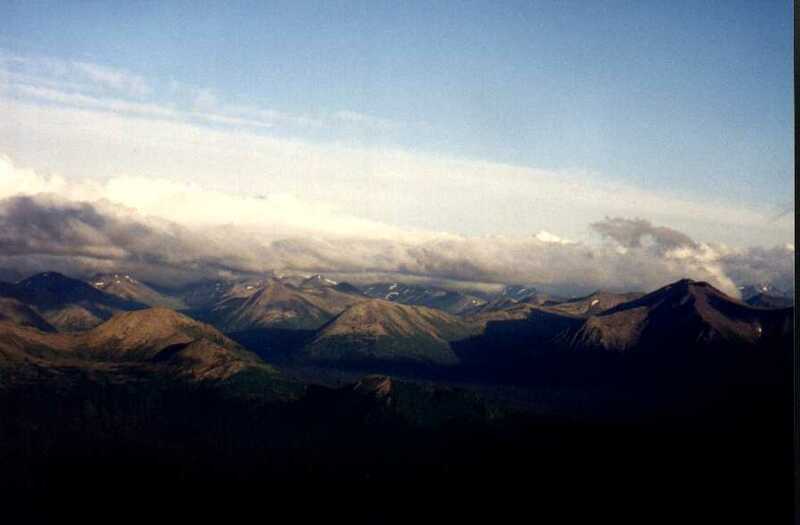 This gave our bold flyers a new perspective on Seward and the surrounding area as they saw it from the sky. NOTE: Most of the pictures are links to a larger version of that picture, so click away! 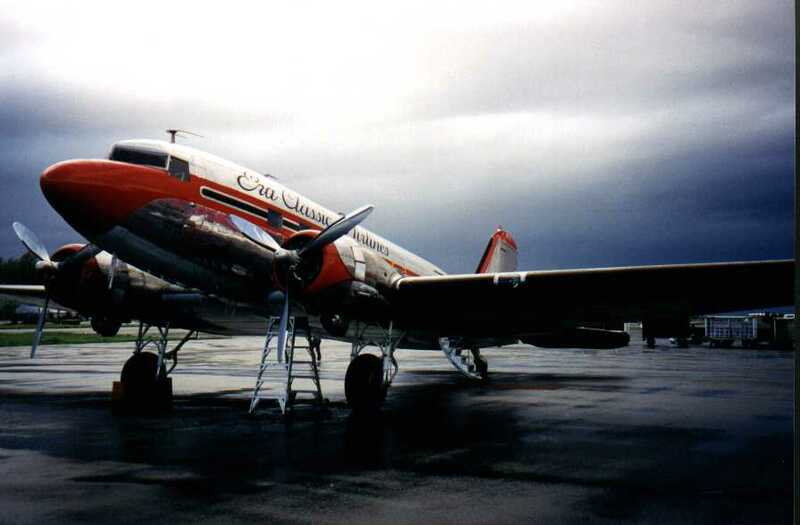 The airplane was a beautifully restored DC3, operated by Era Aviation. They are located in the back of the Anchorage airport. 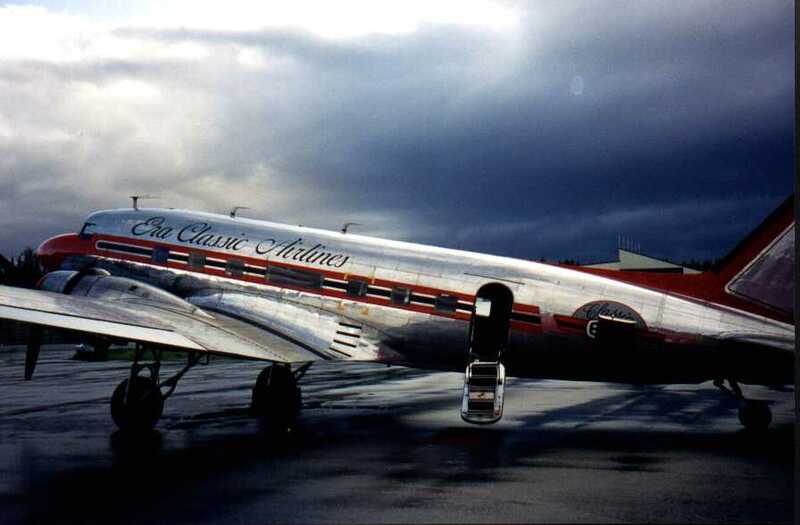 As you can see, the plane is very well polished and very nicely maintained. 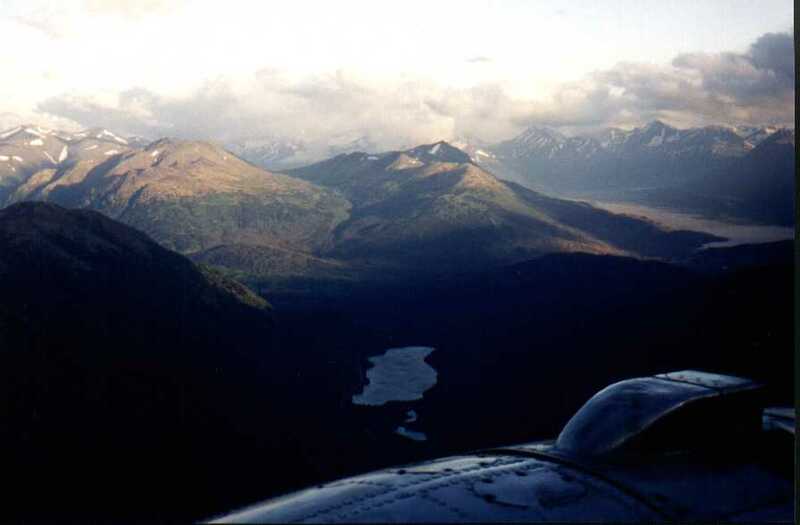 As the plane flew out over Anchorage, there were some beautiful views of the bay and some really nice mountain views on the way to Seward and back. 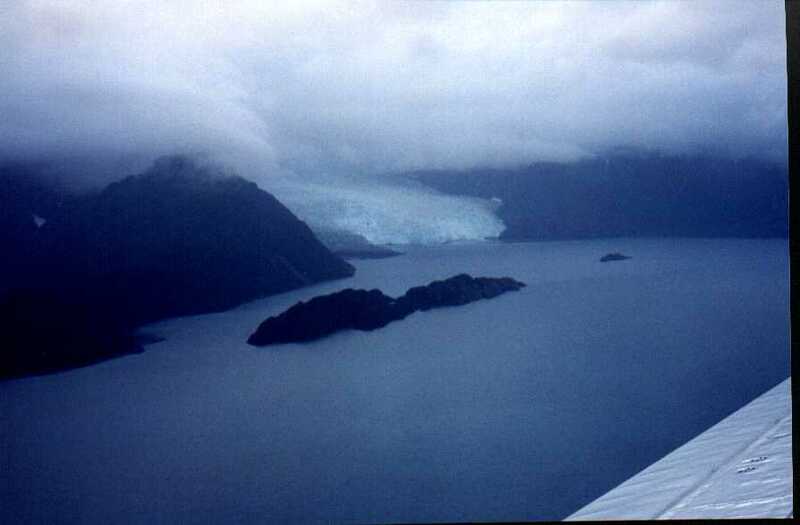 There were also quite a few glaciers to see, as well. 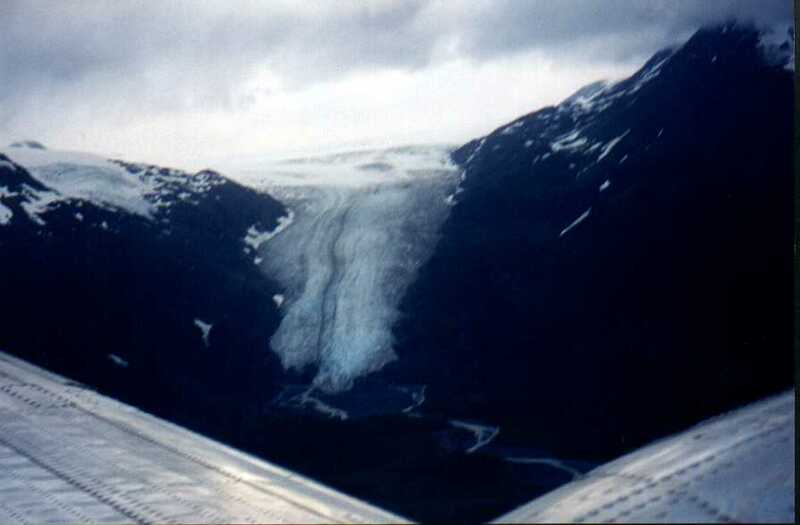 In fact, in a few cases, these were some of the same glaciers seen on the Seward Cruise. 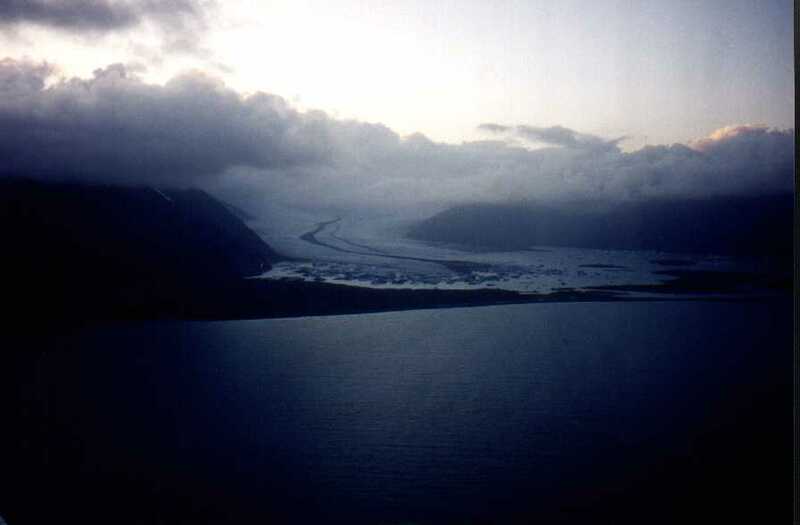 The first and second pictures are glaciers that are also pictured in the Seward Cruise. After this bold adventurer, our aerial travelers returned to prepare for the trip to Denali National Park.